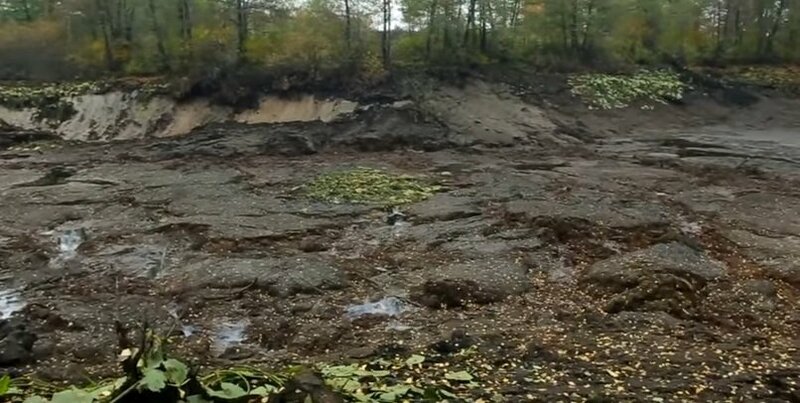 The Sakantsy forest lake in the Vladimir region suddenly disappeared overnight after being drained by a giant sinkhole. The 20-meter-deep reservoir and all its fish were swallowed up within hours by a giant crater. 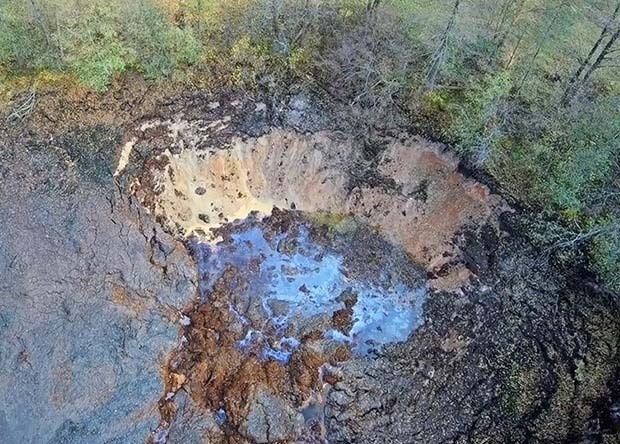 On October 12, the forest lake Sakantsy went underground, swallowed up by a giant sinkhole that formed overnight. The giant crater also engulfed all of the fish, the algae and other animals present in the 20 meters deep lake. 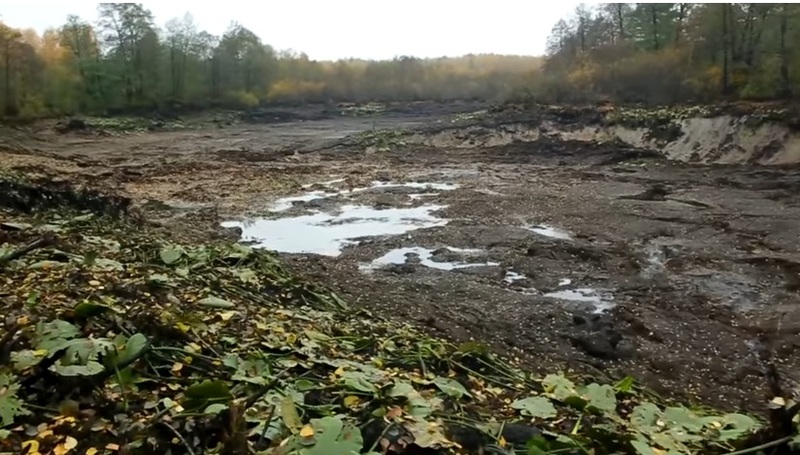 The giant sinkhole drained a lake and its fish in Russia in October 2017. According to experts, the sudden disappearance of the reservoir is related to geological processes in the area since the region is made up of karst, which easily dissolves and erodes, forming giant cavities and sinkholes like in Florida. This lake in the Vladimir region of Russia disappeared overnight in a giant crater in the ground. Another weird and impressive geological phenomenon occurring around the world. This Was Russian HAARP And ShockWaves Over Ground From A Russian Military Satellite Located From Outer Space About That Area. Toutes ses masses d’eau partent dans les profondeurs afin d’alimenter les arches de survie mises en place pour garder un petit nombre de T’es rien. Ce n’est pas du hasard c’est pour cette raison car la fin est proche. It is obviously NOT 60 meters deep. Some parts probably (see links at the bottom of the article and translate them!!). And the sinkhole seems much deeper thant that! This is smaller than my backyard pond its not even an acre in size, its 4meters deep at its deepest and you can clearly see that by the pictures and the scale of the trees and the truck, Such BS Propaganda that you keep publishing. Its a pathetic shame that Steve Quayle is so desperate for links that he keeps reducing his credibility by linking to this total BS!!!!!! Hi and sorry I disappointed you this way. Look at the articles at the bottom of the post as well as the description of the video. They all state the lake is 20 meters deep. So, there must be truth somewhere. Sorry, I didn’t wanted to mess with you or any of my other readers with this article. I was just reporting some weird geological news from Russia. I agree. Perception can be deceiving but that “lake” which is more looking like a pond, doesn’t look more then 20 feet deep. I doubt a six story building height wise would fit in any part of that pond. I would give the depth along with the sinkhole no more then 40 feet max.